Among other topics, Jackson discussed inequality and public safety for his inauguration speech. 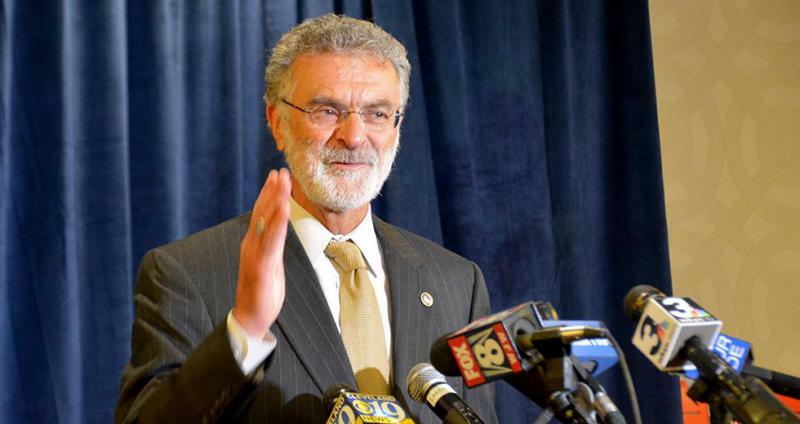 Today is the first official day of Cleveland Mayor Frank Jackson's fourth term. From the introduction by Judge Patricia Blackmon: "Then I saw him again and he said, 'I'm running for mayor,' and I said, 'Frank, don't do it ...'"
...to a musical number sung by a city police sergeant. After he was sworn in, Jackson kept up the motif. He said despite the progress Cleveland has made in the 12 years he's been in office, the city still faces inequalities in education, health and economic opportunity. "How do we become a great city? A great city will be measured by the well-being of the least of us. Not in terms of welfare and charity, but in terms of all being able to participate in the quality of life and the prosperity we have created," he said. Without getting specific, he said addressing inequality would require some "hard decisions," as well as participation from community leaders and everyday citizens. Jackson also pledged to improve public safety, in part, by adding more police officers. Cleveland City Councilman Zack Reed gave up his Ward 2 seat to challenge incumbent mayor Frank Jackson and lost. But Ideastream’s Mark Urycki reports Reed believes he made a difference. Zack Reed sounded a bit frustrated in his concession speech after losing by 19 percentage points. “The voters of the city of Cleveland spoke and they want to continue down the path we’ve been going down for the last 12 years,” Reed said. Reed campaigned on the argument that neighborhoods needed more attention and downtown development less. And he wanted to hire more police. 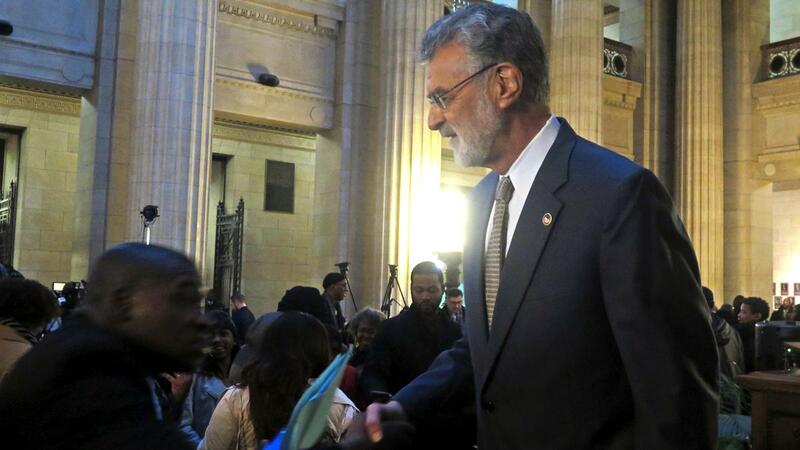 Frank Jackson has become the first Cleveland mayor to win a fourth four-year term in office. He defeated city councilman Zack Reed by 19 points in Tuesday's election. In the end, it wasn’t close. Jackson beat Reed almost 60-40. The mayor told supporters that this campaign reconnected him with the city’s neighborhoods—and gave him an education about people’s suffering.